This book will show you one thing: How to identify sustainable growth opportunities for your business. Because when you have sustainable business growth – everything else falls into place. These may seem counter-intuitive, but this is what you need – fresh thinking around your business. 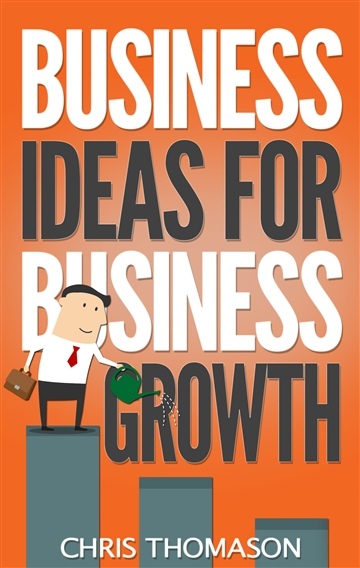 If you need fresh thinking around practical ways to grow your business, then Business Ideas for Business Growth is the book for you. Chris Thomason has spent fifteen years working at the intersection of innovation, business growth and customer experience. He’s an engineer who started his career in the UK automotive industry. He emigrated to South Africa to work in the gold and platinum mining industry, and was fortunate to experience the transition to democracy first hand. He also spent time running a gold mine in Mozambique at the height of the civil war there. He spent seven years In Sydney, Australia where he worked in the area of business innovation. He is now the managing director of Ingenious Growth, a UK company that delivers ingenious business growth opportunities for their corporate clients across a broad range of industries. The development of better thinking in business and in society is one of Chris’s passions, for improvements in thinking skills is the only way mankind will be able to overcome the future challenges. A registered European Engineer, a Chartered Engineer, and a Fellow of the Institution of Mechanical Engineers, Chris lives in Reigate, in the Surrey Hills with his wife and son. He has written one novel on thinking and a number of workbooks and guides.